If you’re looking for the total package of secure container storage, premier customer service and the lowest possible prices, you’ve come to the right place. We specialise in safe, secure and fully flexible container storage units in London, Surrey, Sussex & Kent, covering all domestic and business needs. Whatever you’re looking to store and for how long, we can provide you with cheap storage units for all purposes and total peace of mind. We operate a conveniently-located facility off junction 6 of the M25, with full round-the-clock security and 24/7 access to your storage units. Whether interested in small storage units for temporary domestic use or large storage units for long-term business purposes, we guarantee the same flawless care and protection for your possessions. What’s more, we work hard to provide the highest quality container storage services for prices at least 30% lower than the UK average. Safe and secure storage units for rent, without the usual excessive costs. Our business was founded to bring a friendlier, more accessible approach to container storage services in London, Surrey, Sussex & Kent. What’s more, we invite new customers to visit our storage facility for a full tour, if you’d like to know a little more about how we work. Safe and secure container storage units in London, Surrey, Sussex & Kent made simple – it’s what we’re all about! Professional vehicle storage in London, Surrey, Sussex & Kent for the UK’s lowest prices. If you’d prefer to have the experts look after your car, trailer or any of your commercial vehicles, we’ve got you covered. From our conveniently located storage facility, we offer a comprehensive range of long and short-term vehicle storage services. Along with standard car storage, we’re proud to offer fully secured boat storage, trailer storage, horse box storage and so much more besides. Whether it’s protecting your vehicles from harsh winter conditions or simply helping out when space is at a premium, we’re here to help. We also offer a full range of storage services for larger vehicles and commercial/industrial vehicles. This includes caravan and motorhome storage, lorry storage, small plant storage and more. If you can’t find the service you’re looking for listed on our website, give our customer service team a call. Our flexible, accessible and affordable vehicle storage services can be tailored to meet your exact requirements, whatever your budget. 24/7 security and round-the-clock access to your property add up to total peace of mind, whatever you choose to store. We’re out to prove that the best vehicle storage in London, Surrey, Sussex & Kent doesn’t have to be overpriced – give us a call today to find out more. 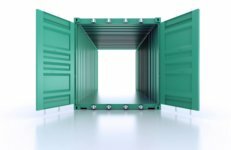 Are you looking for containers for sale in the UK? Hire or buy new and used shipping containers for sale or hire in London, Surrey, Sussex & Kent. Whatever your needs, we can supply you with the highest-quality shipping containers for sale at the lowest possible prices. From temporary site facility provision to permanent storage solutions, shipping containers can be a uniquely cost-effective solution. When a little extra space is needed for any purpose, our container hire and sales services can help. Cheaper than extending your current premises and more convenient than outsourcing your storage requirements, shipping containers for sale or hire offer limitless flexibility. We specialise in the provision of used and new shipping containers in London, Surrey, Sussex & Kent, available for long and short-term hire, along with permanent sales. Whatever your needs, you can count on our total customer care package and guaranteed low prices. With just a few simple adjustments, shipping containers can be transformed into just about anything. Temporary or permanent office facilities, storage units, garages for vehicle protection and so on. For total peace of mind, we inspect and verify the quality of each shipping container for sale or hire before allowing them to leave our site. To discuss container sales or hire, get in touch with our dedicated customer service team today. Short on space? Looking for flexible storage solutions with guaranteed low prices? Our self-storage services have you covered – safe, flexible and affordable packages for all domestic and business needs. We offer a comprehensive range of self-storage units for London, Surrey, Sussex & Kent. Operating from our all-new facility just off junction 6 of the M25, we make self-storage uniquely simple and accessible. Our storage units are available in a wide variety of sizes and can be hired short or long-term. For total peace of mind, our premises are covered by round-the-clock security and our customers enjoy 24/7 access to their property. Whatever you’re looking to store, our self-storage units for London, Surrey & Suffolk have you covered. Self-storage can be uniquely helpful when space is at a premium. Whether moving house, refurbishing a property of any kind or simply looking to store your possessions as safely as possible, self-storage offers limitless flexibility. We understand the requirements of our customers can quickly change, which is why we also strive to be as flexible as possible with the services we offer. 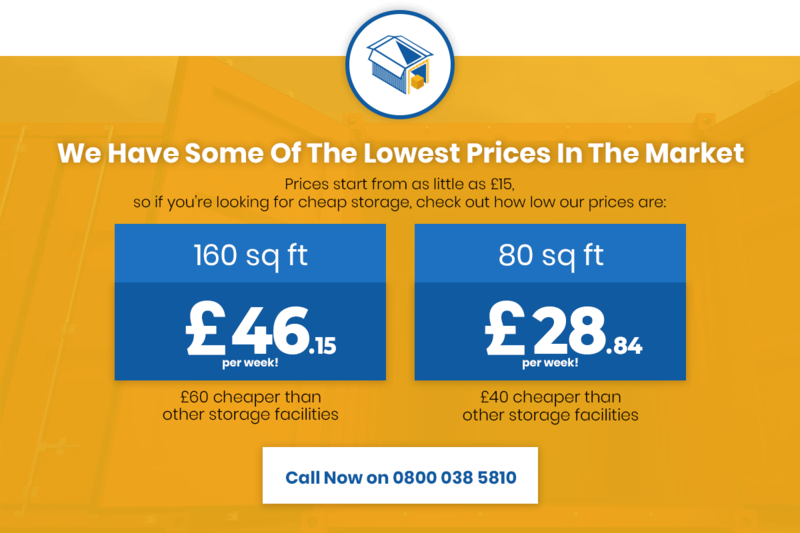 Self-storage units for London, Surrey, Sussex & Kent made simple, affordable and accessible. Whatever your requirements and budget, we’d love to hear from you – give our customer service team a call today.